Congratulations to Doug co-owner at Proline Racing for breaking 200 mph in his Underground Racing Twin Turbo R8 in the standing 1/2 mile. 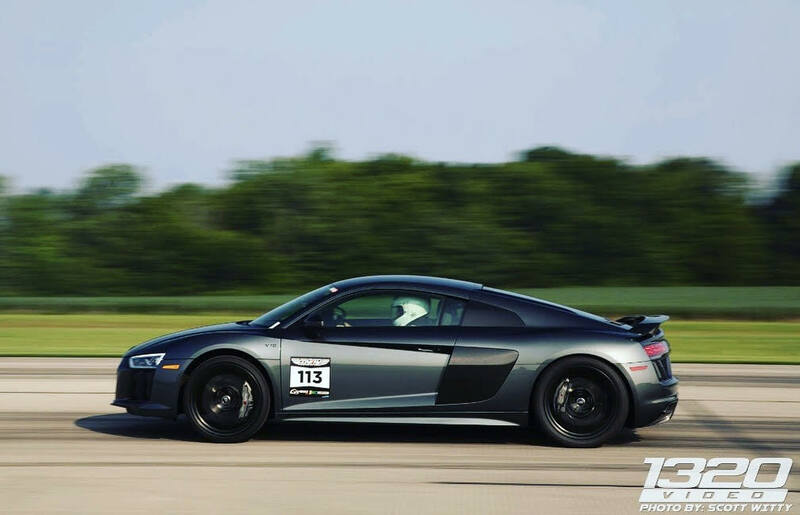 I believe this is the first DCT R8 to break into the 200's in the 1/2 mile is currently the fastest DCT R8 in the 1/2 mile after running 209mph. This Underground Racing build is a Stage 3 plus twin turbo system that makes 1150 whp on pump gas and 1350+ whp on race gas. This happened this past weekend at the Indy Shift Sector 1/2 mile. Video coming soon.